Posted June 12th at 2:00pm. Before heading down to the field, choose between Play the Moments, Offense Only, Defense Only, or the Full Game. 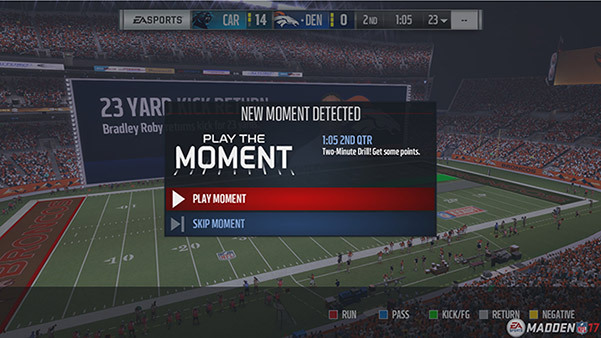 When you choose Play the Moments, the game will be simulated until it detects a key moment and then prompts you to jump right into the action. If you don’t want to play that particular moment, you can easily skip it. Choosing Offense Only or Defense Only before loading into the game allows you to easily play just one side of the ball. You’ll be able to switch in and out of all the modes easily as you play your game. For example, you can start by playing the Full Game and then switch to Play the Moments at half-time once you have a sizable lead. It’s up to you on how you use it. 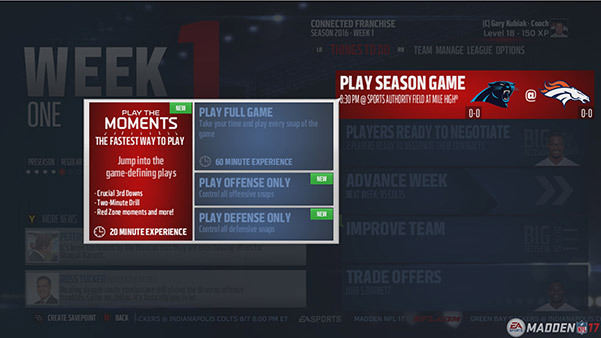 As you Play the Moments, you’ll be prompted to jump into all three phases of the game: Offense, Defense, and Special Teams. When your team needs to keep a drive alive on a key 3rd down, you’ll be called down to the field to help. Once your team makes it to the Red Zone, you’ll be asked to help punch it in. At the beginning of the game, you may be prompted to play a full drive to get the lead early. In the last 2 minutes of the game and before half-time, your team will call on you to drive down the field and manage the clock. While on defense, you’ll be thrown in on 3rd downs to get the ball back and when the offense makes it into the Red Zone, you’ll be called upon to hold the line. When you need a big punt return to get back in the game, you’ll jump in and play. Anytime there is a field goal attempt you’ll jump in to try and block or make the kick yourself. There are three different options for the simulation speed to choose from while the game is looking for the next key moment. By default, you’ll be able to follow along using the Normal play-by-play option where you’ll see the drive lines draw on the field with a quick recap of each play as it’s being simulated. This is the perfect balance between speed and knowing what’s going on in the game. If you want to jump to the next moment quickly, you can select the Fast option. The third option, which has been a community request, lets you slow down the game so you can watch each play unfold on the field in live action using the broadcast camera. The Super Sim engine is the backbone of this feature so we’ve adjusted it to take into account the quarter length you choose. 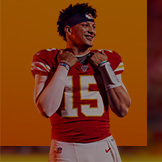 It doesn’t matter if you play using 6-minute or 12-minute quarters; the engine will balance itself to try and get close to the 120 play per game NFL average. 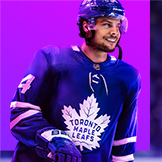 This change will help ensure Play the Moment games have very similar score and stats when compared to the other Franchise games around the league. 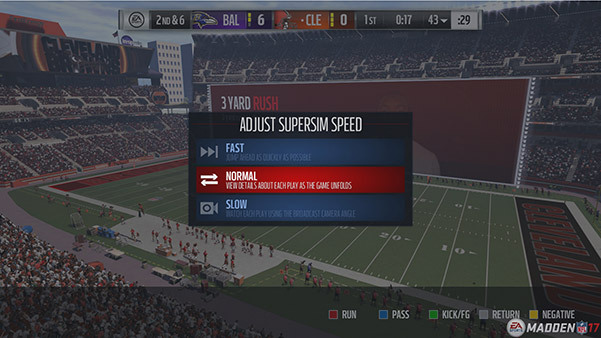 Since we’re talking about Super Sim, you’ll still be able to jump to the next play, next possession, next quarter, or to the end of game like you could in last year’s game. Know your opponent’s tendencies every week then pick the right drills to attack and counter those tendencies in game. This new level of strategy delivers more variety and more fun when preparing for your next opponent, whether it’s a user or the CPU. Once you’re in game, expect to see a team boost for those plays you practiced helping you earn that critical score or a defensive stand to secure the win. 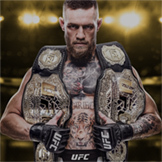 Each week you will choose an Offensive and Defensive gameplan. The initial gameplan is determined based on your opponent’s tendencies, but you can switch to a different one when you see fit. 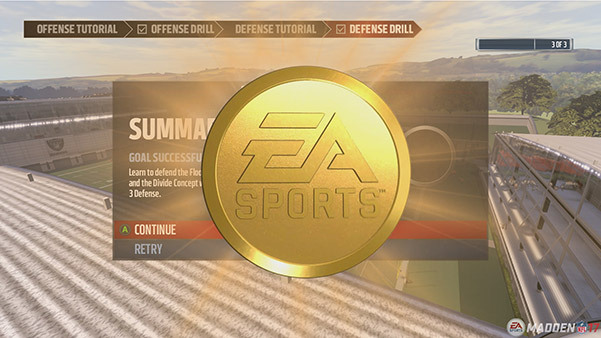 Each gameplan is associated with an in-game drill that will teach you how to succeed and then based on your performance will give you a gold, silver, or bronze medal. The medal determines how many experience points (XP) and in-game boosts your players will have for that week. Each gameplan will give XP to two position groups. For example, many passing gameplans benefit your QB and WR groups while many rushing gameplans benefit your HB and OL groups. 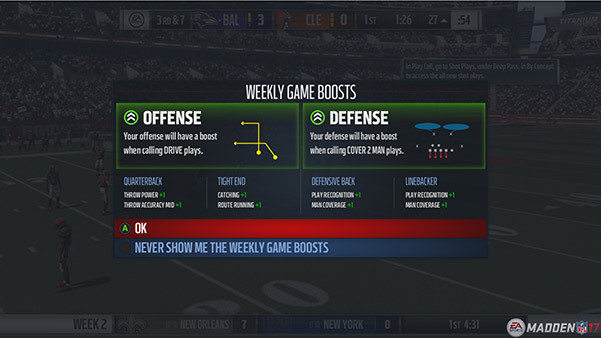 At the beginning of each game, you will be notified of the active boosts which are tied directly to the gameplans you chose. For example, if you choose the Vertical Passing offensive gameplan, then your players will have ratings impacted any time you call a Vertical pass play during that week’s game. It’s the same for defense. 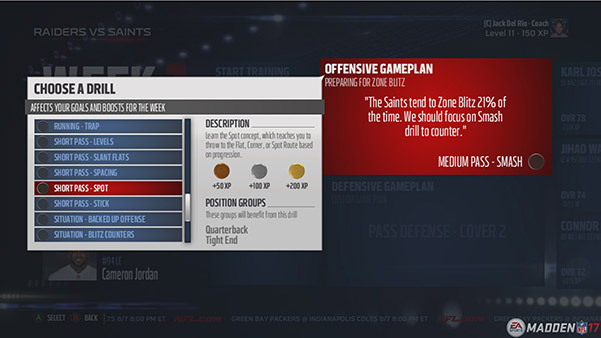 For example, if you choose the Cover 2 defensive gameplan, then your players will have ratings impacted any time you call a Cover 2 play during the game. Plays that are boosted are highlighted in green in Play Call. You’ll also be able to see the active boost in the Previous Play widget. The offensive and defensive tendencies of your opponent are tracked week to week giving you the information you need when selecting your gameplan. Does your opponent bring the blitz or does he/she play man or zone coverage? It will be easy to tell with the tendency information. 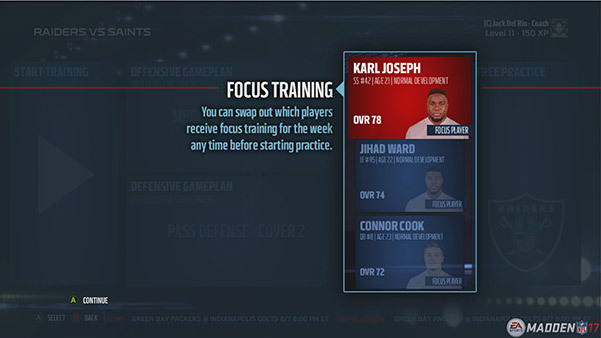 To give you more control on how your team develops, you will select three players to focus on each week. 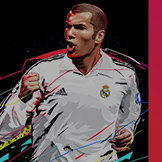 These players will get extra XP so they can develop into the players you need for your team. For example, the Bucs and Titans can use this to help their 2nd year QBs while the Jags can focus on developing their young defense by selecting Ramsey and Jack. 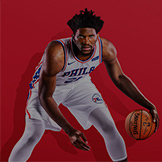 At the beginning of each season, the initial focus players are the top three players picked up in the draft, but you can adjust this to focus on who you feel is most important. There are three distinct strategies you can use when selecting gameplans: 1) You can try to counter your opponent by selecting a gameplan that takes away your opponent’s strengths. 2) You can go with what your team does well by choosing a gameplan that focuses on how you like to play. 3) If your team is in a rebuilding mode, you can lean on gameplans that give XP to the position groups of most need. 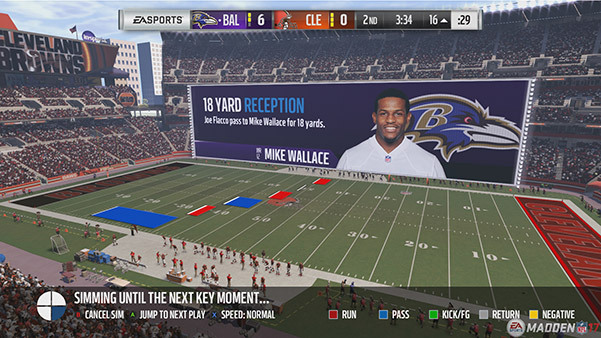 In Madden NFL 17 on Xbox One and PlayStation®4, Play the Moment and Gameplanning provide the tools you need to get through your Franchise faster with more control. 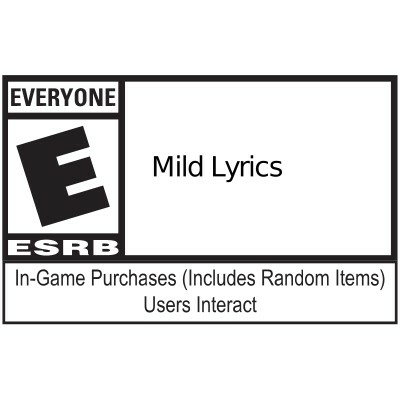 Play this and more in Madden NFL 17 available August 23rd.